with visible effectiveness on the sachet. 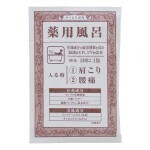 Currently, various types of “sachets type bath salts” for one-time use occupies a in-bath goods corner of the variety stores. The “sachets type bath salts” is the category supported by the wide range of customer group for the reasons below. It is not bulky, handy and easy to carry putting in a bag at the time of travel or business trip. It will warm up the body rather than take a bath of a hotel room with tasteless hot water. And it will relax mind and body by the color and flavor. But there is also the case more than 100 kinds of products are assorted in the large stores. On the other hand fun to select, but there are many customers who don’t know what is the best selection for them. 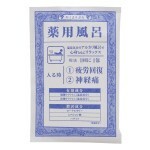 The “Medicated Bath Powder” is brand-new sachets type bath salts. OHYAMA rebuilt the product design with consumer perspective as our policy. We have stated the typical symptoms as a sign of bad physical condition and product features and effects on the package. By this “visualization” of demand, consumers will be able to judge the functions and select the sachets at a glance. 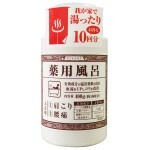 Design essence of the simple package is typography layout of kanji (Chinese characters). It was inspired by a paper bag when we were prescribed the medicine at pharmacy. We had carefully select the material of the paper bag and finish with rubbed feeling print to be able to impressed the nostalgic and relieved atmosphere about something. In 1994, OHYAMA had created the new category “sachets type bath salts” by launch of “Light Liebe” bath salts. The mainstream of conventional bath salts market were occupied by discounting big size for family use or spa type bath salts. So it was not attractive category for the most variety stores. But “Light Liebe” series composed of various type of fruit and flower fragrance gave us a new pleasure to change bath time items day to day. In those days, it was very innovative product added the newness to the selling and purchasing method of bath salts. Currently, a large number of medicated bath salts have been launched around the family type brands. However, honestly to say, even though it have a warm bath effect of carbon dioxide and inorganic salts, it is difficult to understand correspondences and effects to each types of symptom just by looking at the product package. 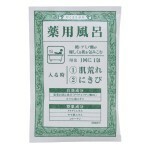 The very simple name (if it was written in kanji) “Medicated Bath Powder” will bring “it must be effective!” image to mind at a glance. In addition, product functions are listed on the package such as features, types of symptom, and active ingredients that has been compounded into each item. 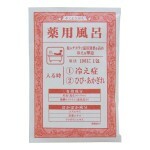 “Medicated Bath Powder” produced by OHYAMA as a pioneer in the sachets type bath salts for a long time. We’re proud to have finished in unique products that will be felt the effect as quasi-drugs steadily. In November 2014, economy bottle of most popular two types, “Stiff shoulders & Lumbago” and “Recover fatigue & Neuralgia” are added. In other words, the new value to meet the demand for family use is added on this brand, not only for personal use. “Light Liebe” (10 kinds) launched as the origin of sachets type bath salts in 1994. 7 kinds of new fragrances added in 1996 and 2000, and renewed to the “NEW Light Liebe” in 2005.